Today brought mushroom enthusiasts to the heights – to the Suur Munamägi. As we climbed up the hillside an idea was born: to search out the highest mushroom in Estonia. Not seen as the height of the mushroom, but the habitat height. At first the task seemed simple enough but turned out to be quite sufficiently involved. The surroundings of the Munamägi tower is the highest spot of Estonian ground, but neither mushrooms nor mushroom seekers thrive on stone pavement and short-shorn grass. It was necessary to search a little further away. Some twenty meters to the northwest of the tower we found another peak that competes with regard to height with the cut grass ground, but is nicely wooded. After a brief search it was found – the very highest mushroom of Estonia. 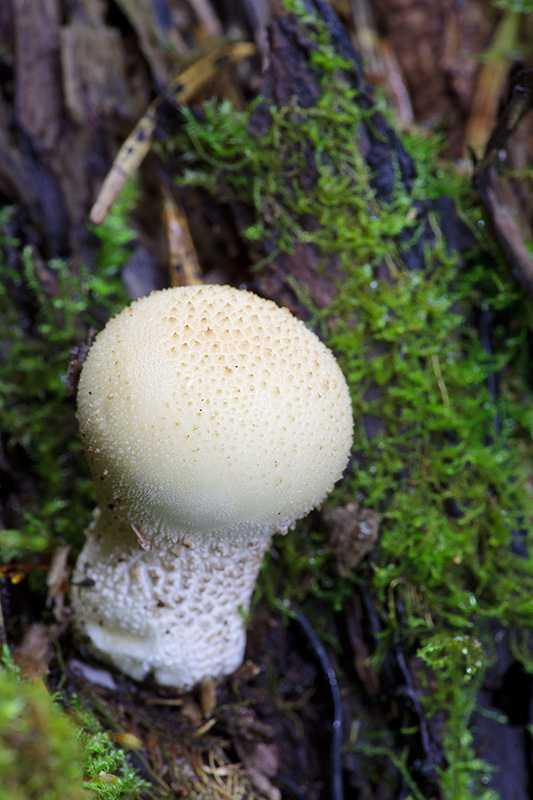 It turned out to be a pear-shaped puffball growing in a crack in a decaying tree stump. Murumuna and Munamägi - lawn egg and Egg Hill – sounds good. Estonia’s highest mushroom – pear-shaped puffball. 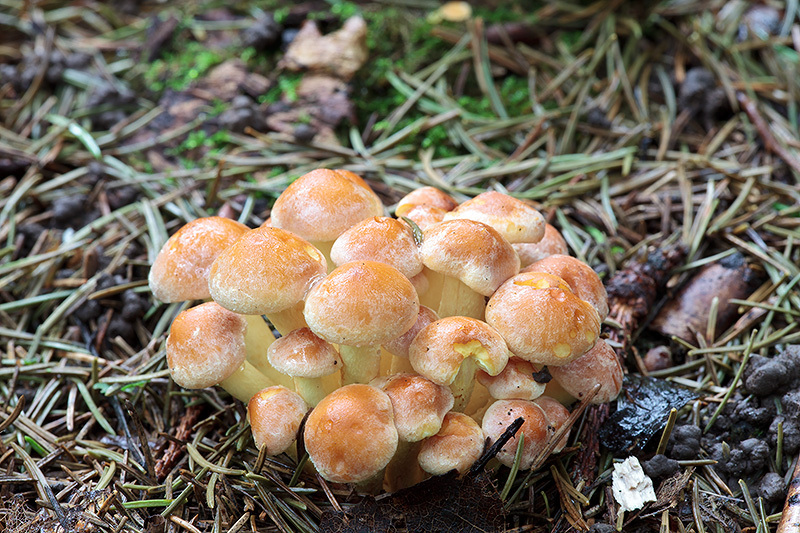 In second place came - barely but clearly - a young sulphur tuft or clustered woodlover. A nice cluster but for the top heights a little too low. Even when the mushroom reaches its maximum height – up to 10 cm from the ground – it would have to yield to the puffball. The third highest mushroom prize was not handed out. There were several candidates at the same spot on Munamägi, but Vällamägi should maybe also have been searched. The number of species at the mushroom exhibition however rose to new heights. Toivo counted altogether 205 species. We were there when he counted them and it seemed that some may have been missed. So the mushroom exhibition has at least 205 species. And at the weekend you can partake of culinary mushroom skills as well as see the use of mushrooms for dyeing yarns. All are welcome to visit the Rõuge mushroom days.